The prosperity of the United Arab Emirates (U.A.E.) is largely based on the country’s vast oil and gas reserves. In the last 30 years the UAE has undergone an extreme transformation from an impoverished small desert region to a modern state with a high standard of living. Despite the global economic crisis, the UAE has been successful in economic diversification thereby not only relying on its oil revenue. The UAE has significantly increased spending on job creation and infrastructure expansion which has vastly improved the private sector. The Burj Khalifa, in Dubai, was completed in January 2010 and became the world’s tallest building at 2,716 feet (828 meters) and 160 stories. The United Arab Emirates is a significant part of our international network. We are located at the forefront of the deserts most exciting city, Dubai. Since our inception in Dubai, we now have a highly experienced team of experts who have extensive understanding of the local practices, clients and transactions. 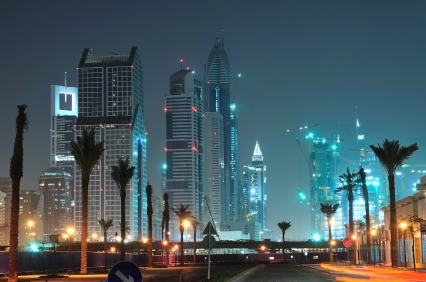 We are a truly international law firm and our work in Dubai has covered several dimensions. This is based not only our ability to deploy first-class client resource quickly and effectively from our other Middle East and international offices, but also because of our understanding of Dubai’s commercial, legislative and regulatory frameworks. We have a steadfast commitment to working side by side with our clients to successfully achieve their objectives.